Our room was on ground floor Small kitchenette, .Airconditioned, Clean, Comfortable single beds, Wonderfull location, Friendlyand helpfull host. Dimitrius was very hospitable and kind, even transferring us to the port when he could. Also liked the mosquito nets on the doors! We loved the outside balcony area and the peacefulness of the place! Our host Dimitris is one of the best we have ever had in our rather rich traveling experience. Extremely professional, polite, and always ready to assist all his guests from the first to the very last day of the itinerary. 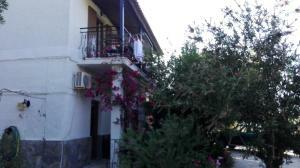 We really enjoyed our stay in Stelios Studios. 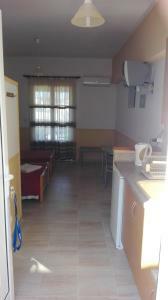 It is a real "rooms to let" experience with a nice host. 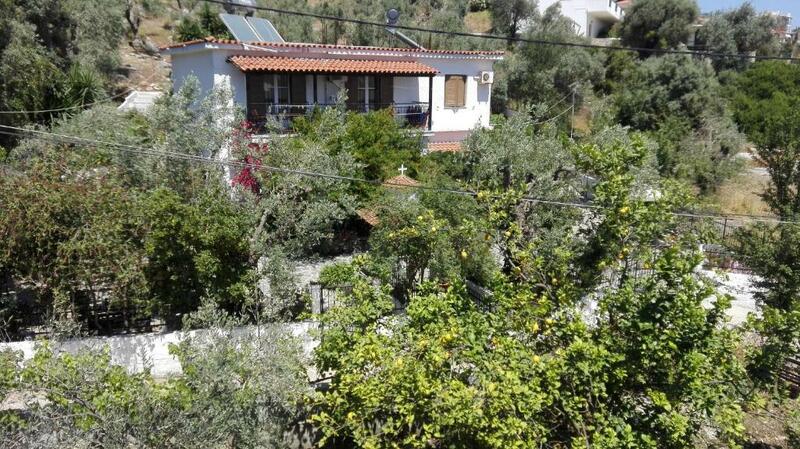 Very good location, clean and value for money. Our host Demitiri, was very helpfull and recommended lovely places to visit. He was always on hand to chat with and help us. He even gave us a lift down to the ferry terminal in his own vehicle to save us carrying our heavy bags. We wouldn't want too many people discovering this one though as we will definitely use Stellios Studios again. Thank you very much Demitiri for looking after us. Murdy, Anna, Leah and Joanna. Everything. 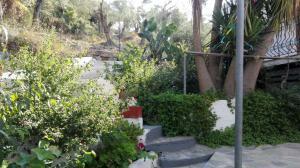 Quiet, cleaned every day, lovely garden and short walk to the town and beach. Dimitri and family are friendly and helpful. If we visit again will certainly stay here. Άψογη εξυπηρέτηση από τον οικοδεσπότη. Η θέση του καταλύματος ιδανική, απόσταση από τη θάλασσα 2 λεπτά με τα πόδια και πολύ κοντά στη χώρα. Η καθαριότητα άψογη, και το parking άνετο. Λαμβάνοντας υπόψιν και την τιμή, το συνιστώ ανεπιφύλακτα..!!! 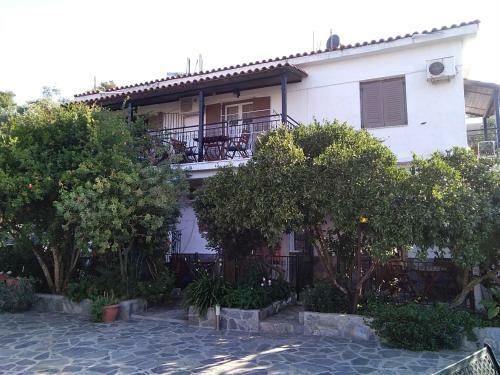 Lock in a great price for Stelios Studios – rated 9.2 by recent guests! Stay in this small, rural apartment and enjoy peaceful days and the ease of simple life in Northern Sporades, Skiathos. Stelios provides simple, clean 2-bedroom apartments and studios. Each studio houses a fully furnished kitchenette, a private bathroom and private balconies or terraces. Guests will immediately feel the inviting hospitality by Stelios Studios's friendly and helpful caretaker. The property is surrounded by beautiful gardens, which are ideal for passing a quiet afternoon with long lunches. Take a dip or relax by the swimming pool of the nearby Palmira Studios. 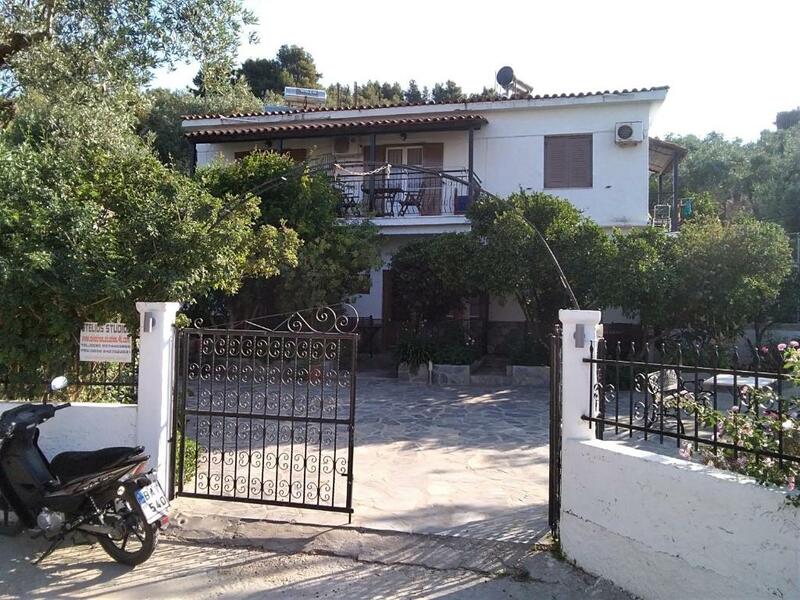 Otherwise, enjoy the lively atmosphere of Skiathos town center, which is just 1,000 feet away, or head to Megali Ammos Beach that is 350 feet away. This is our guests' favorite part of Megali Ammos, according to independent reviews. This property is also rated for the best value in Megali Ammos! Guests are getting more for their money when compared to other properties in this city. 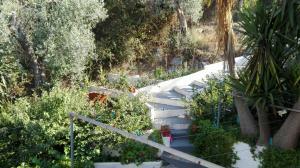 뀐 Located in the top-rated area in Megali Ammos, this property has an excellent location score of 9.0! When would you like to stay at Stelios Studios? 269 ft². area with small kitchenette available. Extra bed available. 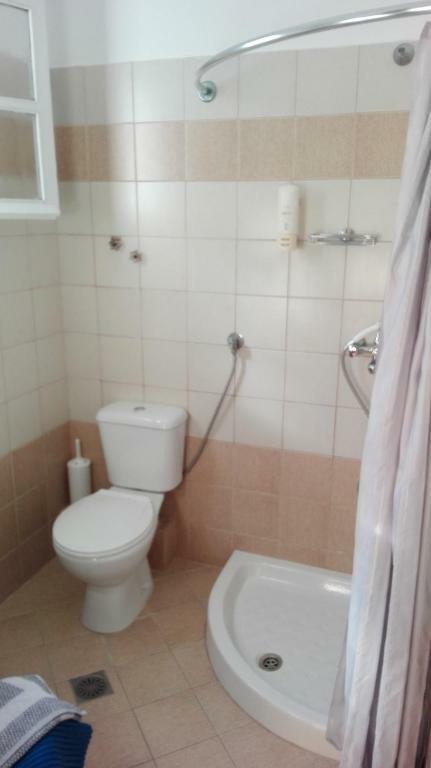 Spacious studio with kitchenette and private bathroom. House Rules Stelios Studios takes special requests – add in the next step! Stelios Studios accepts these cards and reserves the right to temporarily hold an amount prior to arrival. Please inform caretaker of your arrival details after your booking confirmation. Please inform Stelios Studios of your expected arrival time in advance. You can use the Special Requests box when booking, or contact the property directly using the contact details in your confirmation. Not enough electricity points, Couldn't conect Kettle+toaster/fire or more than one cell phone. Better bring with you a power strip so you can have more points for all electricity divices.